All students have access to a broad and balanced range of courses relevant to their needs. The curriculum fulfils the legal requirements of the National Curriculum Programmes of Study and Religious Education, with pathways developed at both Key Stages 4 and 5 to offer a more personalised curriculum that is student focused and flexible. The curriculum promotes the differentiation of learning and teaching through the setting of students according to ability, supporting all and stretching and challenging the most able. In some courses students are taught in mixed-ability teaching groups across Key Stages 3 and 4. Why do we offer this curriculum? Specific groups of students such as: most able, disadvantaged, special educational needs and English as an additional language will be supported using a range of strategies. Most able students will be supported daily within their classroom environment through stretch and challenge activities and differentiation. The SEN department will support students with identified learning needs as well as continued support within their classroom environment. Disadvantaged students who are eligible for Pupil Premium will receive support, which enables them to make progress from Key Stage 2 to 5. Through schemes of work there will be a key focus on developing students’ analytical, evaluative and decision-making skills as well as supporting all ability levels with their higher level numeracy and literacy skills. Students will continue to have access to a range of courses across Key Stage 3 in order to prepare them for GCSEs (starting in Year 9) and other equivalent qualifications. Year 7 to 11 students will attend thirty taught lessons each week. Please note that students with a KS2 scaled score of 110 and above or Level 5 and above will continue with MFL as a compulsory qualification from year 7 to 11. This does amount to a more traditional academic curriculum so it will be challenging. Universities may ask for a specific number of GCSEs (or their equivalent). For example, a number of medical courses ask for five (sometimes more) A* grades (new grade 8). Modern Foreign Language qualifications are valued by admissions tutors across the best universities and businesses, and as such studying a Language will enhance the prospects of students applying to a range of competitive degree courses and careers choices. Students who plan to go on to study ‘A’ Levels and apply to go to university will need to study English Baccalaureate (EBacc) qualifications, including Triple Science, Humanities (Geography and History) and Languages (French or Spanish). Students who wish to study Separate Sciences must have a desire to study three sciences at A level and study competitive Science courses at university, such as Veterinary Science or Medicine. All other students will study the Double Award Science course, which still is widely regarded as a good pathway to A level studies and beyond in Science. Assessment frameworks will be changing nationally as we move towards a new numerical grading system. All parent/carers received a copy of the new St. Julie’s assessment framework during summer 2016. 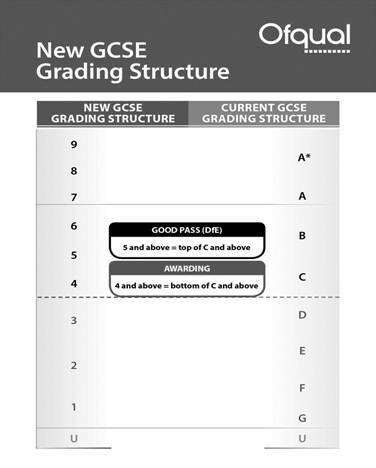 GCSE exams will be graded from 9-1, rather than A*-G as has been the case previously. The reformed GCSEs will remain universal qualifications, with a balance of more challenging subject content and more rigorous assessment structures, enabling pupils achieving higher grades to progress onto A Levels. The Russell Group and other leading universities will have a greater role in the design of new A Levels. Assessment frameworks changed nationally in 2014. All students now follow a numerical grading system (9-1). All parent/carers received a copy of the St. Julie’s assessment framework during summer 2017. Please see below the curriculum content and overview for each curriculum area. All students from Year 11 who apply to St Julies may be offered a place in Sixth Form for either Level 2 or Level 3 courses. It is essential that each student is coursed correctly in line with their prior attainment in relation to their GCSE grades and vocational or academic pathways they may be considering Post-16 and Post-18. Clear pathways from Key Stage 4 are implemented to ensure smooth progression between Key Stages and beyond. The curriculum offer within Sixth Form is predominantly academically focused however the vocational offer has been increased in order to meet the needs of students and the regional job market. All students who do not achieve a grade 4 or above in English and Mathematics will continue to attend compulsory lessons each week Post-16. This is a statutory requirement. Please note that the majority of A Level courses have now moved to linear assessment (i.e. no marks accrued in Year 12 A/S examinations can be carried forward to Year 13). In these subjects, students will be taught on the basis that they will follow the course for two years. If they choose to drop the course after one year and sit A/S Level examinations, they must understand that teachers will not have explicitly prepared students for A/S Level content or assessment criteria, both of which now differ from full A Level.